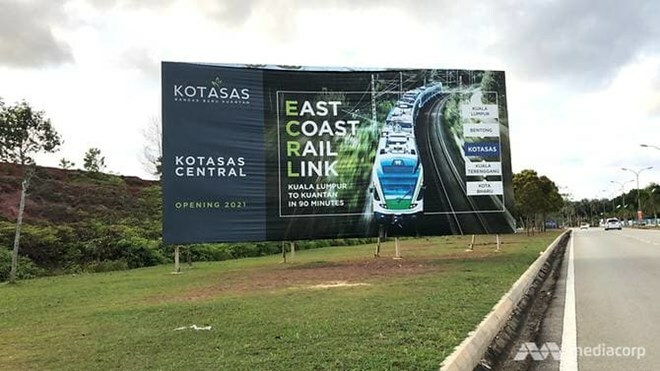 Hanoi (VNA) - The East Coast Rail Link (ECRL) project between Malaysia and China is likely to be signed on April 12 in Beijing after many months of negotiation, according to Malaysian media. Sin Chew Daily cited a source in the Malaysian negotiation team, who said the Malaysian Prime Minister's special envoy, Tun Daim Zainuddin, had arrived in Beijing to negotiate the final details. The newspaper also reported that Daim planned to hold a press conference at the Malaysian Embassy in Beijing to inform the results of the negotiation. Malaysian Minister for Economic Affairs Azmin Ali spoke on April 8 that the two sides hoped their negotiation to finish before PM Mahathir Mohamad visits China to attend the Belt and Road Initiative Forum on April 26. Last week, Finance Minister of Malaysia Lim Guan Eng said he hoped the negotiation would go well. As part of efforts to reduce Malaysia’s national debts, Mahathir has directed the examination of large-scale infrastructure projects signed during the tenure of former PM Najib Razak. On January 26, Ali said that Malaysia would cancel the ECRL project due to the high annual interest payment that the country would have incurred.